President Francois Hollande has announced a further three months of national emergency following the Bastille Day attacks in Nice, according to Euronews. Speaking at a press conference in Paris, the leader described France as a prime target for terror attacks because “human rights are denied by those fanatics”. He announced that France’s state of national emergency will continue for three months more, as opposed to ending on 26 July as planned. France had declared a state of emergency after last November’s deadly Paris attacks. 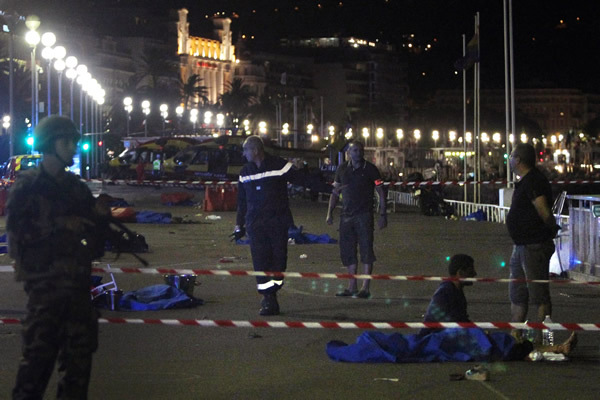 Hollande had announced on Thursday, some hours before the Nice terror attacks, that the state of emergency would come to an end later this month. He had expressed hope that it would not be renewed beyond July 26 as a law bolstering security in the country was adopted in May. “We had to prolong the state of emergency until we could be sure that the law gives us the means to counter the terrorist threat effectively,” Hollande had said in a traditional Bastille Day television interview before the recent attack. However, Hollande returned to Paris from Avignon in the south of France, early on Friday morning following initial reports of the attack on the country’s national holiday that has so far killed 84 persons including 10 children. According to reports, 202 persons were injured, 52 of them in critical condition and 25 in intensive care. The French President has convened a security meeting at the Elysee Palace. The country has also declared three days of national mourning following the deadly attack after a terrorist drove a lorry into a large crowd celebrating the country’s main national holiday. Police have identified the suspect on Friday as Mohamed Lahouaiej Bouhlel, a 31-year-old man, who is originally from Tunisia. Authorities said he was married with three children. There was no immediate claim of responsibility for the attack, but Hollande has said the incident had “all the elements to be called a terrorist attack” and vowed to fight similar threats. “Nothing will make us yield in our will to fight terrorism,” he said. “We will further strengthen our actions in Iraq and in Syria. We will continue striking those who attack us on our own soil,” Hollande added, in reference to France’s involvement in a coalition of nations carrying out air strikes against the Islamic State of Iraq and the Levant (ISIL, also known as ISIS) group.